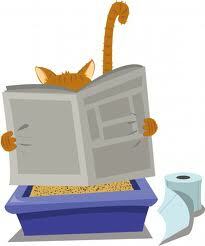 Litter box issues can be a problem and major headache for any cat owner. Below is an attachement of some helpful tips and information that can prevent and solve most litter box issues. Remember, when cats aren't using their box, they are trying to tell you something is not right! An amazing website dedicated solely to urination and spraying issues, with natural products you can buy. There's an online guide you can read to determine what your particular situation is and what to buy!